Named after the Lion of Punjab, the affluent suburb of Lajpat Nagar provides one of the oldest residential colonies in South Delhi by the name of Amar Colony. Home to many with cheap renting, its famous eateries and evening markets, Amar Colony is a gastronomic delight. The crowded area with narrow roads lightens up as the clock hits 6 post meridien and the streets of Amar Colony witness a formation of various food trails. The crowd that provides maximum business to these vendors usually consists of families who visit the market for an evening outing, PG students, school students returning from tuitions and varied tourists. The market is also a famous hangout station for youngsters who come out for an evening walk to have a snack with friends. The affordable appetizing prices fit the bill for those on a budget and make for a perfect chatpati evening with friends. Here’s what to try at Amar Colony. 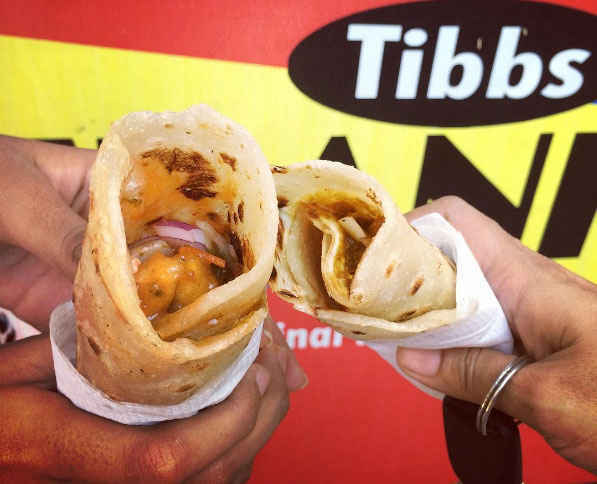 Hunger Strike serves a host of kathi rolls that melt in your mouth. 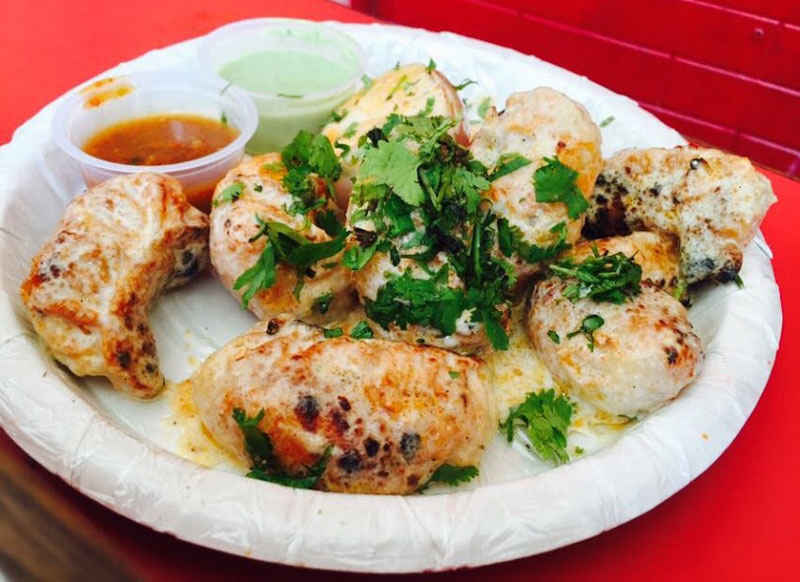 Their Chilly Chicken Roll is a must try but what they're really famous for is their unique Tandoori Momos. 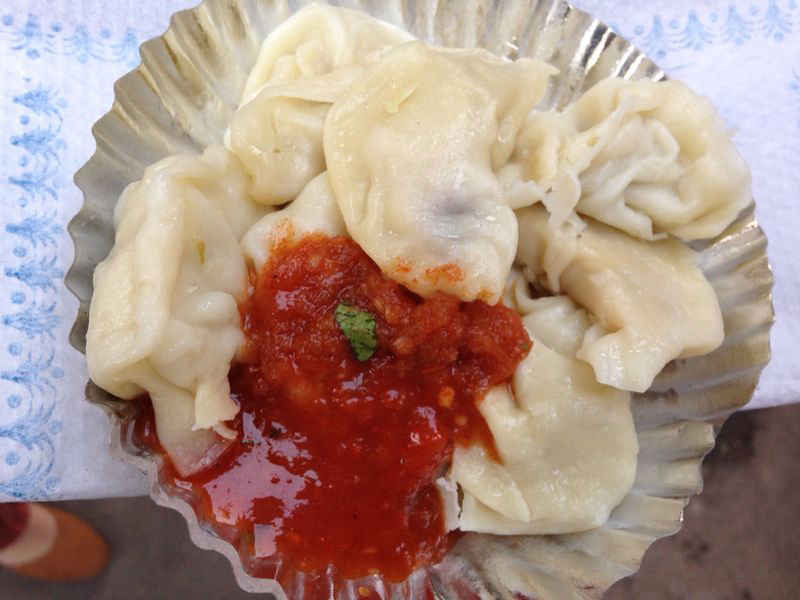 Served in a yoghurt based spicy gravy, these are one of the best momos in town. The chicken variant of the tandoori momos cost approximately Rs 110. Next to Hunger Strike, this little vendor who is definitely a people's person is most famous for his mouth-watering street food options. 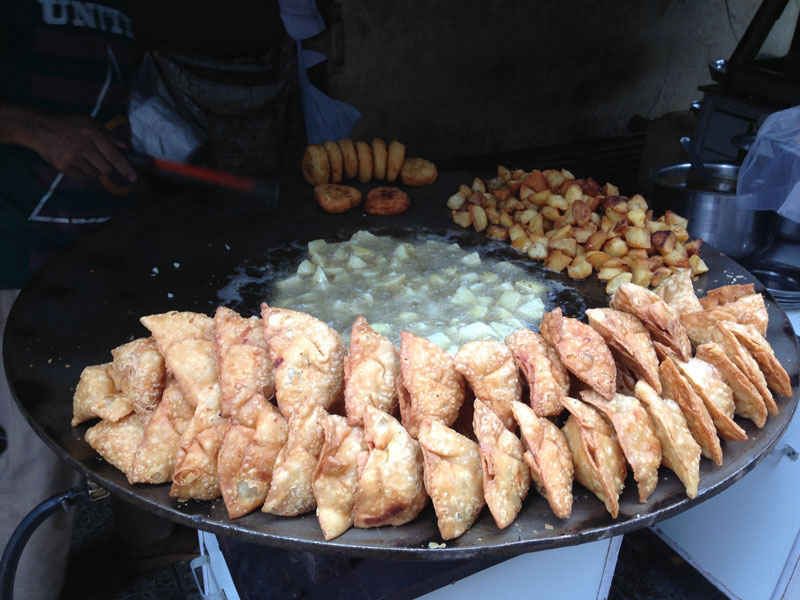 The golgappas are one of the best in town as are the aloo tikkis and the samosa chaat. The cost of the delectable food options here would vary from Rs 15-50. Going further in, Biryani Corner offers veg/non-veg Biryani with Korma specialties that will definitely have you coming back for more. Do try the fragrant Mutton Biryani, 250 gms of which will cost you Rs 80. 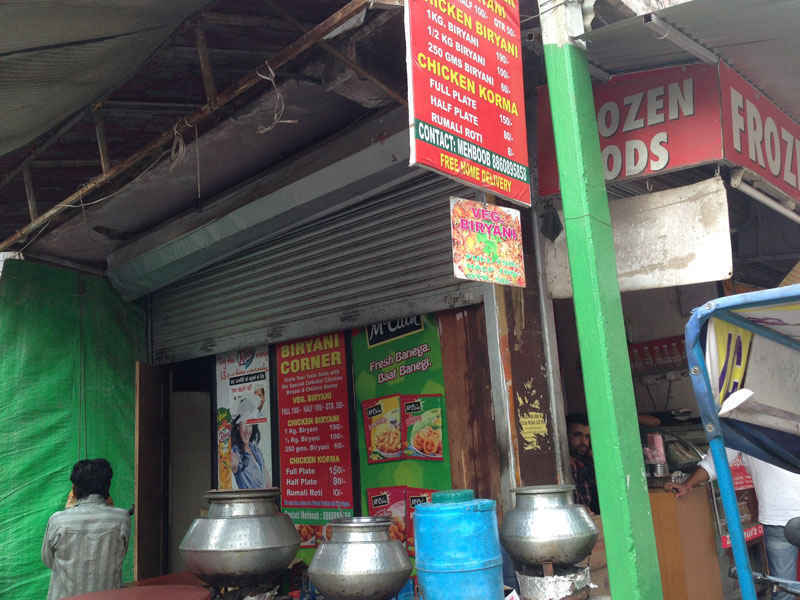 Located in the Lajpat Nagar Central Market, Dolma Aunty Momos serves three types of momos - veg, paneer, and chicken. Serving only the steamed version of the popular comfort food, the accompanying red chilly sauce has quite a kick (even a little dip would suffice). A plate of chicken momos (a full plate has 8 pieces) will cost you Rs 50. This modest street-food vendor has earned quite a fan following over time. 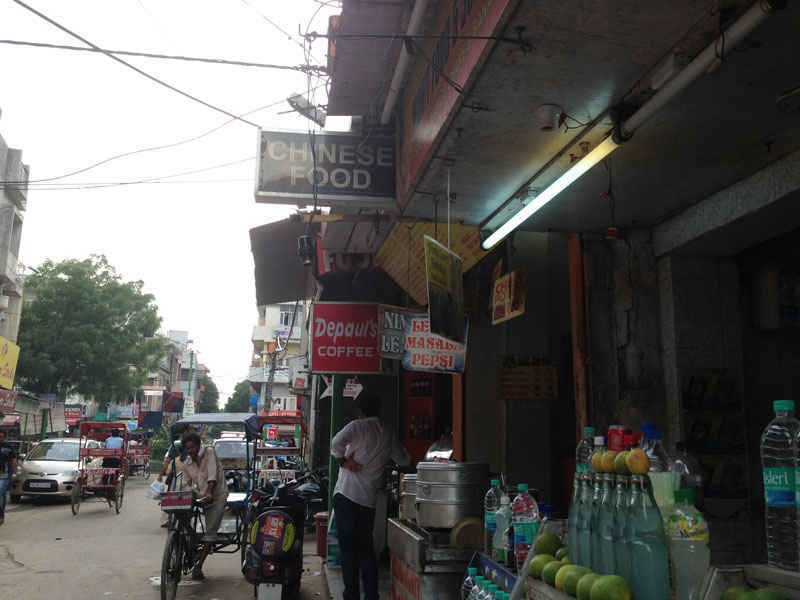 They offer some great Indo-Chinese treats to those living nearby. Do try their Chilly Chicken, Egg Fried Rice, and Paneer Spring Rolls. A meal for two costs approximately Rs 200. Baba Nagpal Corner near Old Double Storey in Gupta market has been serving only vegetarian street food and north Indian dishes for decades now. The place needs no introduction, especially, to the locals. 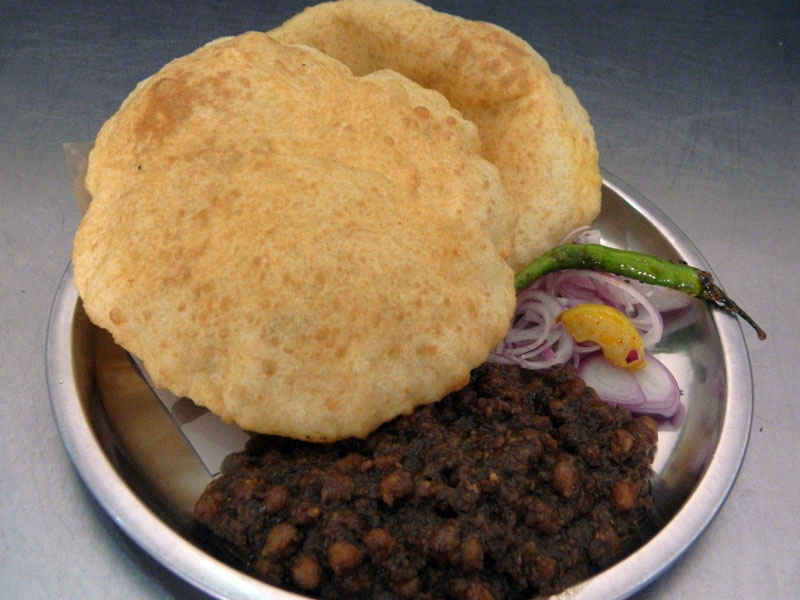 It boasts of the best chole bhature in town though they usually finish off by mid-day, so make you get there early on. A plate of chole bhature here costs approximately Rs 55. Tibbs Frankie, next to Tunday Kababi serves veg and non-veg variants of frankies that are well known amongst the locals of Delhi. Catering to the health conscious crowd, they have also added an option of wheat momos to their menu. Also,their Mutton Bhuna frankie is a must have. It costs approximately Rs 90. Also, a special mention goes out to a small sugarcane juice walah near Baba Nagpal Corner and Gopala Sweets which is a must try!